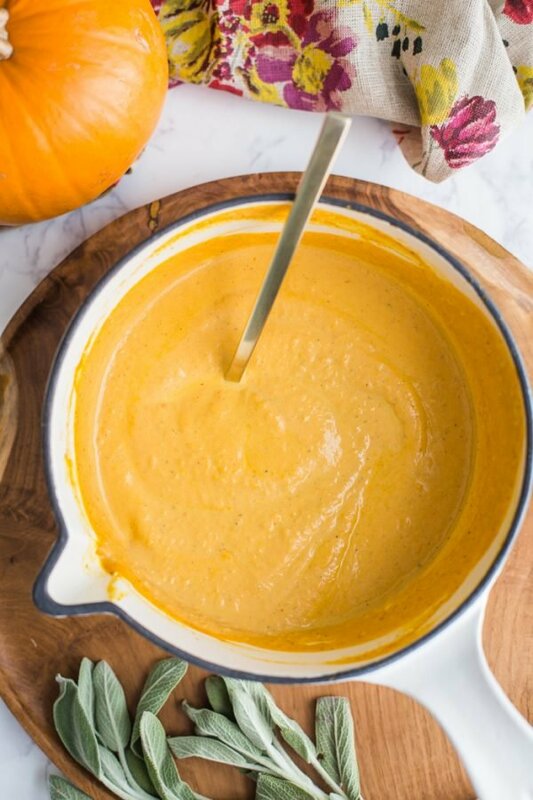 It’s day THREE of Pumpkin Week and we’re celebrating with this VEGAN and oh so Easy Pumpkin Cream Sauce. This recipe is based heavily on my Butternut Squash Pasta Sauce that I posted a couple years ago. Basically, I just swapped the butternut squash out for pumpkin (keeping things easy on the hump day of pumpkin week). 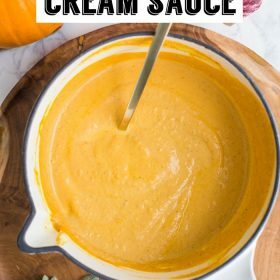 The sauce is perfect and creamy and wonderfully delicious! I tested the sauce out with half n half, regular milk, as well as almond milk to keep it vegan. The half n half definitely results in a thicker and slightly creamier sauce BUT the almond milk version is still super yummy. 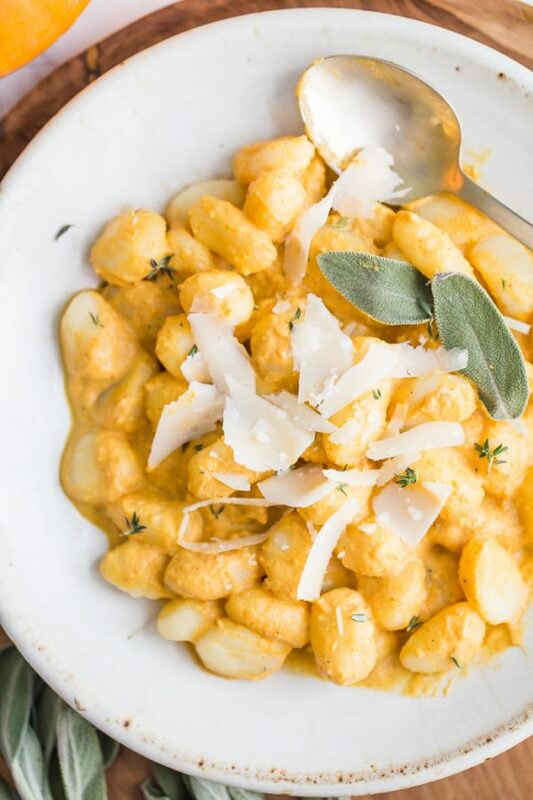 The Pumpkin Cream Sauce over top of gnocchi is my favorite way to eat this but it works great on different pastas, on potatoes….and really anything you can imagine. Basically, just pour this sauce on everything because it’s PUMPKIN SEASON! 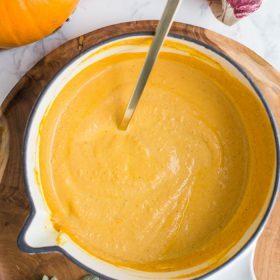 You can make this sauce with either store bought pumpkin puree OR with freshly roasted pumpkin (similar to what I did with the Butternut squash sauce). 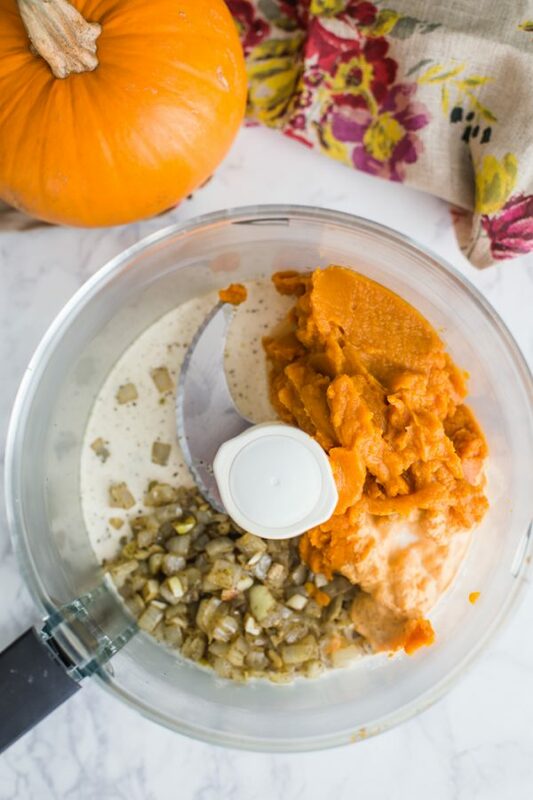 Once your puree is ready (or your chunks of roasted pumpkin), it goes in a blender with all of the other ingredients to be pureed up into an amazingly delicious sauce! Oh, but first we’re going to saute onion, garlic, and sage in a little olive oil. THEN it goes it the blender with everything. BAM Pumpkin Sauce. As usual, PLEASE let me know if you end up making this sauce! Heat the oil in a medium skillet over medium heat. Once hot, add in the onion, garlic, and sage and sautee for 5 minutes. Add the onion mixture to a blender or food processor and add in the remaining ingredients: pumpkin, milk, and salt and pepper. Blend until creamy and smooth. Add the sauce in the skillet used to saute the veggies and heat until warmed through. 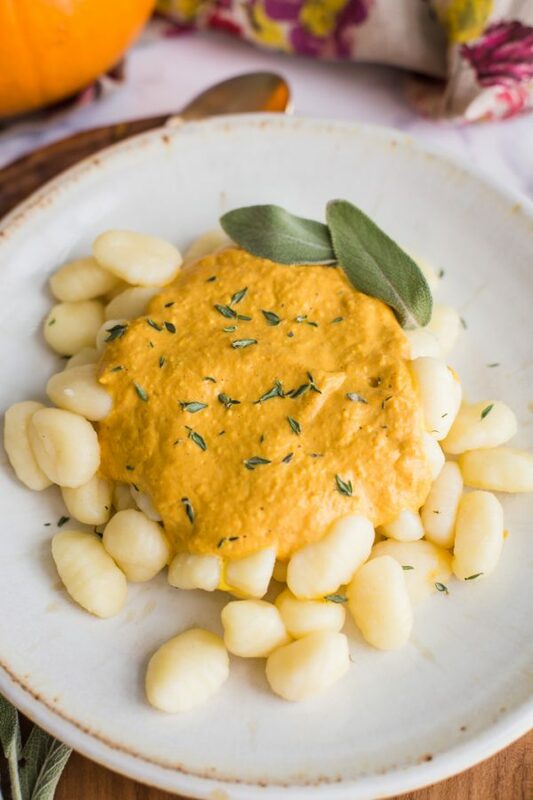 Serve with you favorite pasta, over gnocchi, or however else you desire!